A few months ago I was contacted by Celia and Fred about a collection of a few dozen posters in the basement of DataCenter. The DataCenter was about to move, and wanted to document some of the original poster art they had in their collection – would I put these to good use? How could I say no? The three of us looked through what was there, and it was old home week. I knew many of the posters, but – as I always discover, no matter how small a collection – there were several I’d never seen before. As an archivist specializing in such collections, my first step was to take them home and flatten them out. I shoot them in my studio as high-resolution images, then add them to a database where I can compare to others and add information. 1. 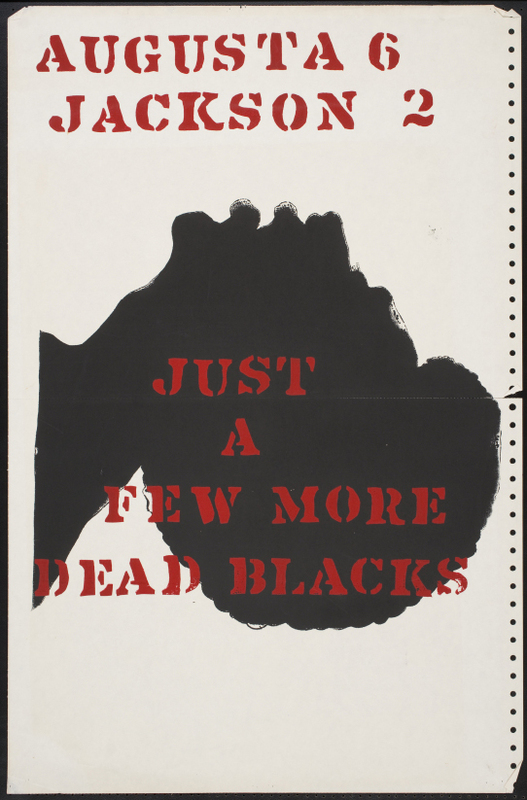 “Augusta 6 : Jackson 2 : Just a few more dead blacks.” This was made at the 1970 Berkeley poster workshop, when students took over a building at the UC Berkeley campus to produce screenprinted propaganda. This sardonic one, on free tractor-feed paper, comments on the death of black demonstrators at Augusta, Georgia and at Jackson State College, events far less publicized than the horrific killings at Kent State. 2. 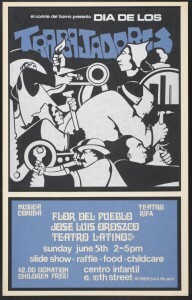 “Dia de los Trabajadores,” [Workers’ Day], 1977, by Malaquias Montoya. Malaquias is the grand master of Bay Area community screenprinting, and this is a relatively early example of his work for El Comité del Barrio in Oakland. Among his powerful design flourishes are his distinctive hand lettering and dynamic activist imagery. Few of his posters for public events are credited. 3. 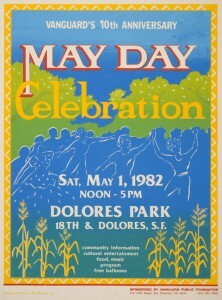 “Vanguard’s 10th Anniversary Mayday Celebration,” by Stephanie Lowe, Japantown Art and Media (JAM), 1982. Before Vanguard collapsed in 2011 from a management scandal, it had ably served as one of the main foundations that supported activist organizations in the Bay Area. This screenprint was made by JAM, exactly the sort of worthy group that always needs some financial support. 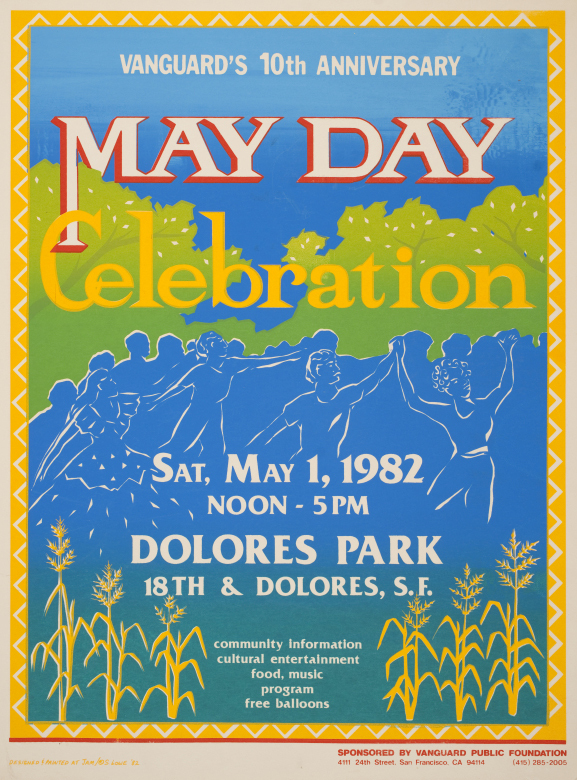 Once processed, these posters become part of a pool of material that gets used for exhibition, book illustrations, and reproductions for community exhibitions. Thank you, DataCenter and extended DC community, for serving as a magnet for such art over all these years and for sharing them with the public.